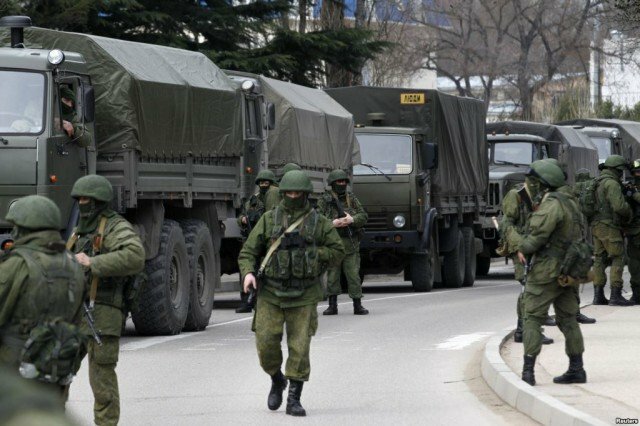 President Vladimir Putin has ordered thousands of Russian troops stationed near the Ukrainian border to return to their bases, Russian media report. Vladimir Putin’s spokesman said about 17,600 soldiers on training exercises in the Rostov region would be pulled back. Russia has previously announced troop withdrawals that NATO and the US say were not actually carried out. It has been accused of supplying troops and weapons to separatist rebels in east Ukraine – claims it denies. The latest order comes ahead of a planned meeting between Vladimir Putin and Ukrainian President Petro Poroshenko on Friday, October 17. Ukrainian troops have been fighting pro-Russia rebels in the regions of Donetsk and Luhansk since April, in a conflict that has killed more than 3,500 people. The two sides agreed a truce on September 5, but fighting has continued, especially in and around Donetsk. “[Vladimir] Putin has ordered to start the returning of troops to regular station,” presidential spokesman Dmitry Peskov said in quotes carried by Interfax and Ria Novosti news agencies. Dmitry Peskov said this was because the period of training was completed. Vladimir Putin made similar statements about withdrawing troops from the Ukrainian border in March and May. However, NATO and US officials said they saw no evidence of soldiers being moved. Correspondents say the deployment of Russian troops on Ukraine’s border is seen as a powerful tool designed to threaten the government in Kiev. Meanwhile, Vladimir Putin and Petro Poroshenko are expected to meet on the sidelines of the Asia-Europe Meeting (ASEM) summit in Italy on October 17. “Russia’s role in the issue of providing peace… is difficult to overestimate,” he added. Petro Poroshenko said he also hoped to discuss Russia and Ukraine’s gas pricing dispute. Russia cut off gas supplies to Ukraine in June, saying the Kiev government had not settled its debts. Ukraine could face gas shortages in the winter if the dispute is not resolved.